Erica dias was bom to an old, well-established family in Pelene, Weligama of southern Sri Lanka . The family is famous for its scholarly Buddhist Bhikkhus who spread the Dhamma far and wide. erica is the first woman in this family lineage of monastic scholars to contribute to this great tradition via her many books on spiritual development, poetry and prose. Her writings have encircled the world bringing forth peace. The readers are impressed by the depth of meaning expressed so succinctly in a few lines. One reader, who worked for the UN in New York noted, "This wonderful piece, I am indeed enjoying and reading over and over, for it’s lavish and rich and at the same time well balanced, soft, and smooth in taste, but equally for its powerful and deep message." Her prose books are on Dhamma themes, again brief but full of meaning. She has also written poems for children. Up to now she has published 13 books and two more will be published shortly. These books sell in several countries including one that has been translated into French. She lived in Thailand from 1978 to 1995 with her husband and two sons. She worked as a Consultant for UN ESCAP, Bangkok from 1978-1987. During this time, she formed a spiritual group in Bangkok with Dr. Thynn Thynn, a Buddhist teacher and former UN World Health Organization consultant. People from many countries participated. Here erica dias matured in her Dhamma wisdom and meditation. Upon return to her homeland of Sri Lanka , she formed a spiritual group, The Enlightenment Seekers' Study Circle , and this tradition continues in Sri Lanka today. erica dias has won many awards for her poetry, from Thailand, Australia, and the United States, including an Honorary Doctorate from the World Academy of Arts and Culture in California, USA in 1991. erica dias even wrote poetry for Queen Sirikit of Thailand on the celebration of her 60th birthday in 1992. 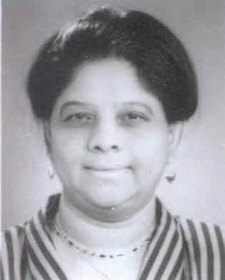 Before sojourning to Thailand for two decades, she was a lecturer in sociology at the University of Colombo , in Sri Lanka . Now, she is very happy as a mind healer, helping people with Dhamma insight … and also as a writer.